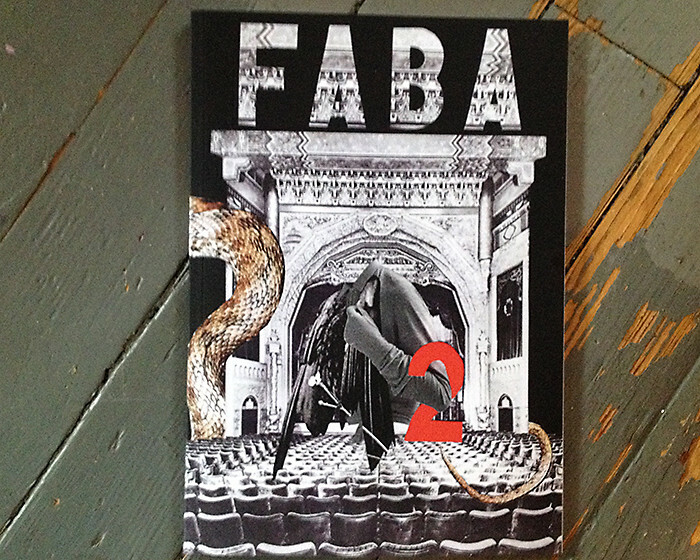 I was very excited to receive my copy of FABA Collage Mag #2 in the mail yesterday, which includes two brand new collages I contributed (Bloodfire and The Sirens Simply Vanished) as well as short interviews about each piece and a photo of my studio space. I don’t think many people know this, but FABA Collage Mag gives a percentage of it’s profits to each of the artists featured in each issue (unlike most other small art publications, which often charge a submission fee just to even be considered for inclusion). Much respect to the crew behind this mag for that, and for stepping up and doing something positive. It’s not about “Do-It-Yourself”, it’s about “Doing-It-Together.” That’s an attitude that I can get behind.